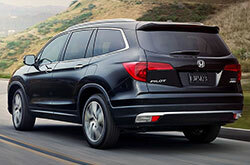 Drivers looking for a dependable and well-equipped SUV have been choosing the Honda Pilot for many years. The current model for 2018 is an excellent option for those with considerable passenger seating space because of its third row of seating. While the Pilot had a somewhat boxy appearance in previous model years, the latest model available has exceptional curves that give it a sleek, aerodynamic style. In fact, throughout the interior and exterior of the 2018 Honda Pilot, you may notice that this SUV has undeniable appeal and many thoughtful features. When you are test driving this year's pilot, you will notice that there is an entry-level LX trim level, which has cloth seats and no entertainment system for the rear seating area. The mid-level EX-L version with leather seats and without the rear entertainment feature. 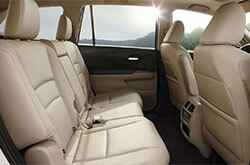 The highest EX-L trim level has both leather seats and a rear entertainment feature. Regardless of the 2018 Pilot trim level that you select, you will enjoy standard features such as cruise and audio controls on the tilting steering wheel, heated side mirrors, power windows, a backup camera, power door locks and keyless ignition. 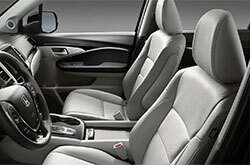 All of the trim levels are available with three interior color choices and eight exterior color choices. Many drivers who choose to buy the Honda Pilot may be interested in its exceptional passenger seating space and cargo space in the rear of the vehicle. However, this is an SUV that gives you an overall amazing driving experience. Power and performance go hand-in-hand with all three trim levels, each of which have a 3.5-liter, V6 engine. These engines give you 262 foot-pounds of torque and 280 horsepower. They are capable of towing up to 5,000 pounds. When you test drive the 2018 Pilot, you can also speak with your sales representative about the all-wheel drive and six-speed automatic transmission that is available in all trim levels. Traction and stability control add to your driving experience and keep you safe on the roads. You may find that the 2018 Pilot from Honda has everything that you may be looking for in an SUV. With its exceptional passenger seating space and cargo space, this is a vehicle that has room for the whole family and even a few friends. Drivers can enjoy peace of mind behind the wheel because of the exceptional safety ratings the Honda Pilot has garnered. When selecting a safe vehicle for you and your family, you understandably want to purchase a vehicle that has a full range of safety features from bumper to bumper. Inside the 2018 Honda Pilot, you will find ventilated rear disc brakes and front disc brakes, a tire pressure monitoring system, airbags for all passengers, a front passenger deactivation sensor for the airbag, child safety seat anchors and door locks, an engine immobilizer, headrests for all passengers and more. In the higher level trim packages, you will also find a blind spot detection feature, fog lights, a post-collision safety feature and other safety features. 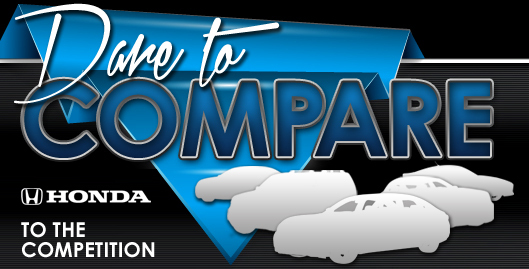 Visit us today at Delray Honda to take a test drive and find the vehicle that fits your needs.